Lewis Carroll was born Charles Lutwidge Dodgson at the parsonage in Daresbury, Cheshire, England – on 27th January 1832. His father was a brilliant mathematician, who neglected an academic career in favour of the clergy, eventually becoming the Archdeacon of Richmond. One of eleven siblings, Dodgson was a precocious child, apparently reading John Bunyan’s Christian allegory The Pilgrim’s Progress by the age of seven. In 1843, the Dodgson family moved to North Yorkshire, and a year later the twelve-year old Lewis was sent to Richmond Grammar School. Two years subsequent, he moved to Rugby School in Warwickshire. Despite an unhappy three years there, marked by illness and bullying, Dodgson revealed himself to be exceptionally gifted, particularly in mathematics. At Oxford, despite a tendency towards procrastination, Dodgson excelled. He earned a first-class degree in mathematics in 1854, as well as a second-class degree in Classics, and completed his Masters three years later. Once more following in his father’s footsteps, Dodgson was appointed as a lecturer of mathematics at Oxford 1856; a position he would go on to hold until 1881. Teaching provided Dodgson with a steady income, and over his career he would publish a number of successful mathematical textbooks, including Two Books of Euclid (1860), Elementary Treatise on Determinants (1867), Examples in Arithmetic (1874), and Curiosa Mathematica, Part I: A New Theory of Parallels (1888). From a young age, Dodgson had penned poetry and short stories, and it was shortly after graduating that he began to write more seriously. Between 1854 and 1857, his work appeared in national publications such as The Comic Times and The Train, as well as smaller magazines like the Whitby Gazette and the Oxford Critic. In 1856, he published his first piece – a romantic poem called “Solitude” – under the pen name that he would eventually make him famous: Lewis Carroll. Around this same time, Dodgson made the acquaintance of the new dean of Christ Church, Henry Liddell. During the late 1850s, Dodgson became close friends with Liddell’s wife and young children, most notably their daughter, Alice. 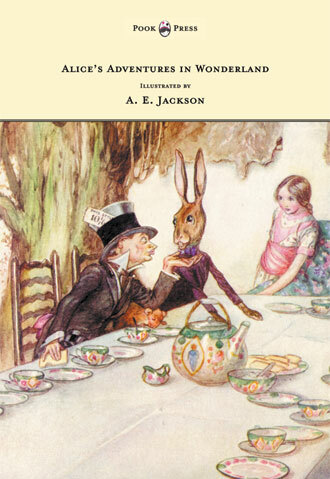 On an 1862 rowing expedition with the group, Dodgson came up with the outline of the story which would later become Alice’s Adventures in Wonderland. 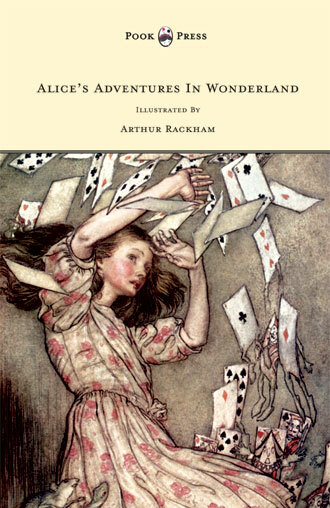 Having recited the story to the young Alice Liddell, who had begged him to write it down, in 1864 Dodgson presented her with a handwritten, illustrated manuscript entitled Alice’s Adventures Under Ground. The young Alice’s enthusiasm encouraged Dodgson to pursue publication, and he quickly received interest from the London-based house Macmillan. 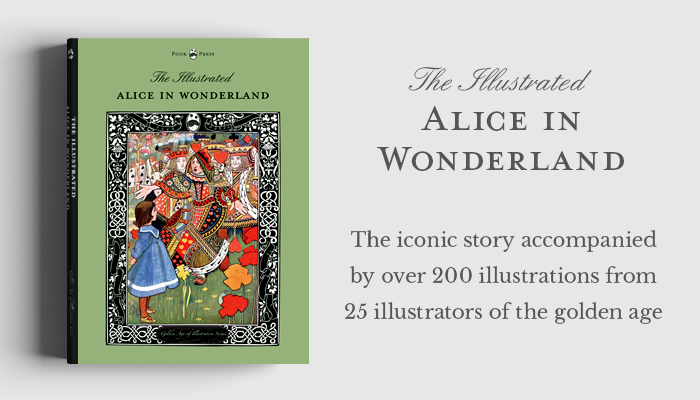 After the possible alternative titles Alice Among the Fairies and Alice’s Golden Hour were rejected, the work was finally published as Alice’s Adventures in Wonderland in 1865 under the Lewis Carroll pen-name, with illustrations by John Tenniel. 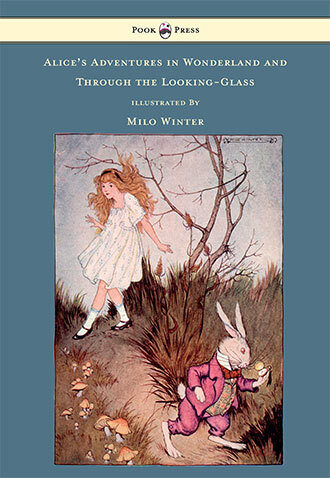 It has also since been illustrated by Milo Winter (who also illustrated the sequel, ‘Through the Looking Glass‘), and Arthur Rackham (who just illustrated Alice). Alice’s Adventures in Wonderland, John Tenniel, 1865. 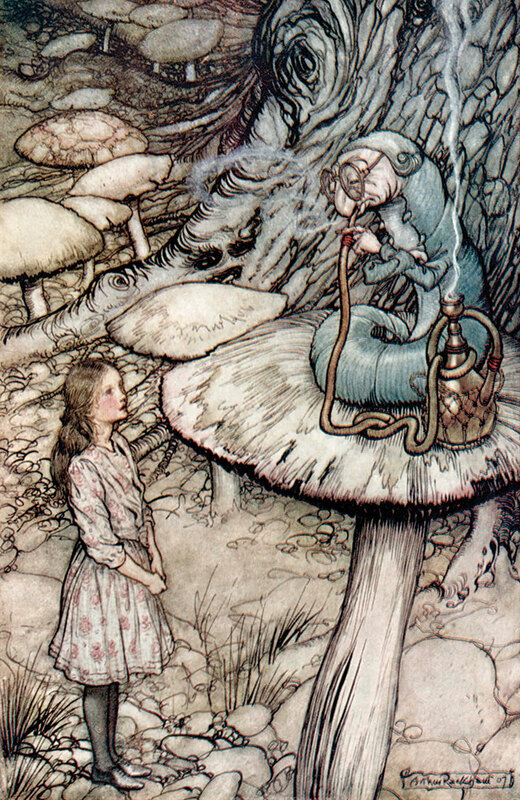 Alice’s Adventures in Wonderland, Arthur Rackham, 1907. 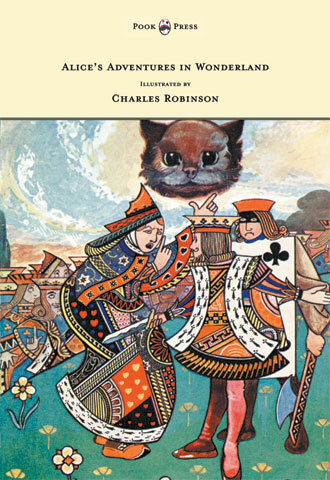 Telling the tale of a girl named Alice who falls down a rabbit hole into a fantasy world populated by surreal and anthropomorphic creatures, the book was a huge commercial success. 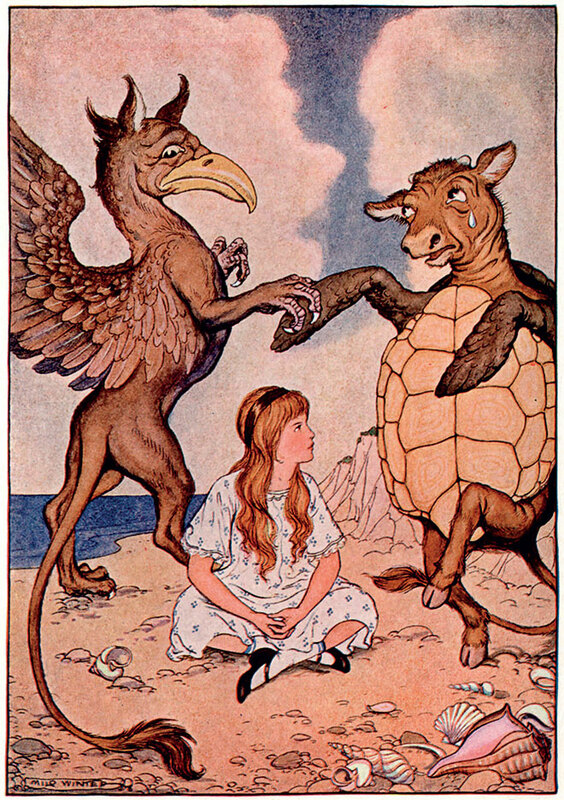 Lewis Carroll was almost instantly swamped with fan mail. 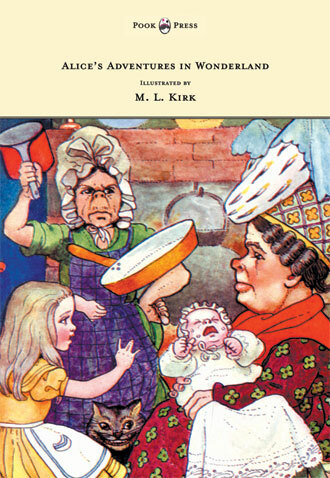 Despite initial lukewarm critical reviews, it would become increasingly popular over the following years, and is today regarded as one of the finest examples of both the literary nonsense genre and children’s literature more generally. 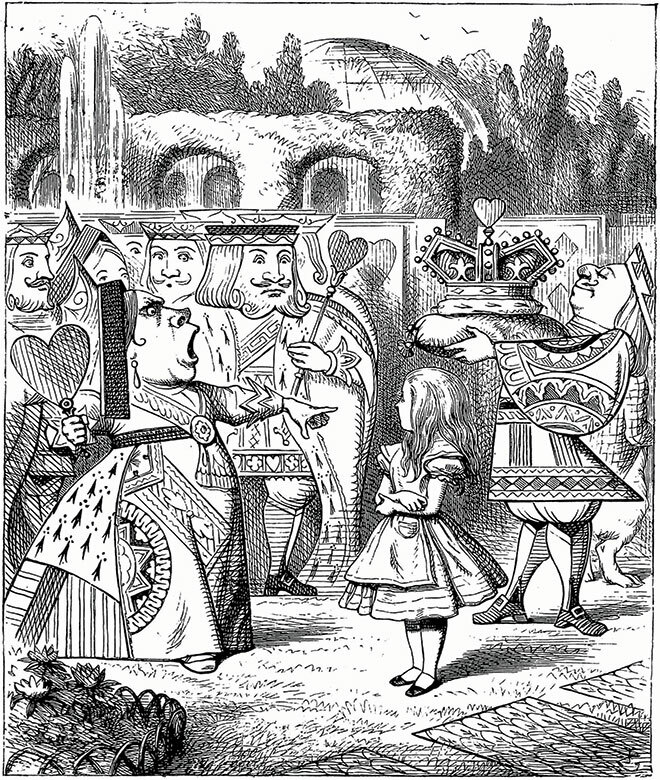 Despite the success and financial reward brought by Alice’s Adventures in Wonderland, Lewis Carroll maintained his position at Christ Church. Having become a deacon at the cathedral some years earlier. For reasons largely unknown however, he neglected to continue on into the priesthood, but continued to lead services, and to teach mathematics at the university. In 1867, Carroll travelled through Europe, returning shortly before the death of his father, which plunged him into a deep depression. 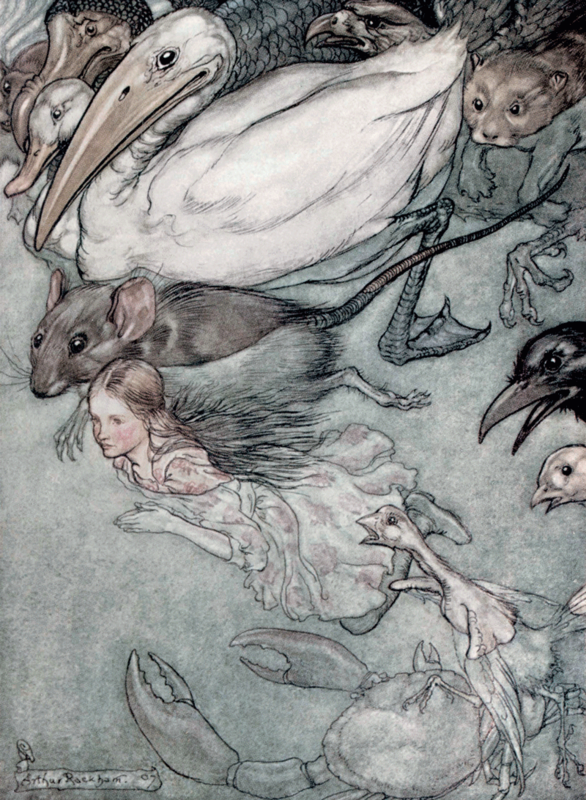 In 1869, Lewis Carroll published his first major collection – Phantasmagoria, following it seven years later with the epic nonsense poem regarded as his last great work, “The Hunting of the Snark”. 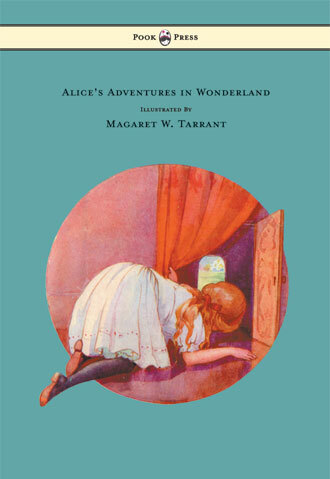 In 1871, Lewis Carroll’s sequel to Alice’s Adventures in Wonderland; Through the Looking Glass and What Alice Found There, appeared. Darker in tone, it included arguably his most famous poem, “Jabberwocky”. 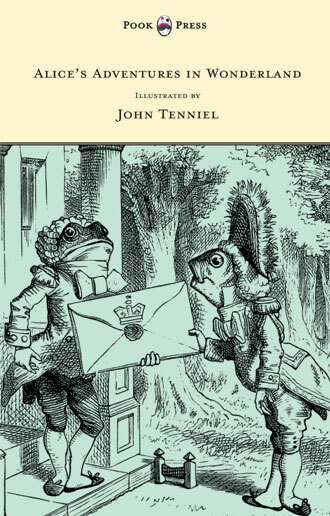 In 1881, Lewis Carroll resigned his lectureship at Oxford in order to focus on his writing. Over the next decade, he continued to produce fiction, as well as works on philosophy, mathematics and political theory. He died on 14th January 1898, two weeks away from turning sixty-six, and now lies buried with many of his siblings at ‘The Mount cemetery’ in Guildford, Surrey, England. 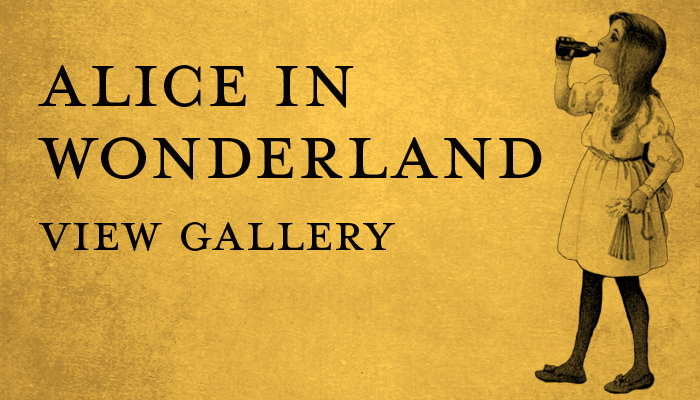 Since his death, Lewis Carroll’s legacy has been a complicated one. A deeply private man, prone to nerves when questioned publicly, Carroll destroyed many of his personal papers, and over time various theories have abounded relating to his inner character. Some have suggested that he suffered from mental illness, or was a drug abuser, and newspapers such as the Daily Mail have suggested he possessed an unhealthy interest in children. However, in recent times there has been a concerted effort by scholars to do away with the ‘Lewis Carroll Myth’, and to present a more measured and less sensationalist account of the man. There has also emerged an increasing focus on his lesser-known works, and a focus on assessing him as not just an author of children’s literature, but also as a gifted mathematician, philosopher, photographer, and even inventor. Alice’s Adventure’s in Wonderland, Milo Winter, 1916.